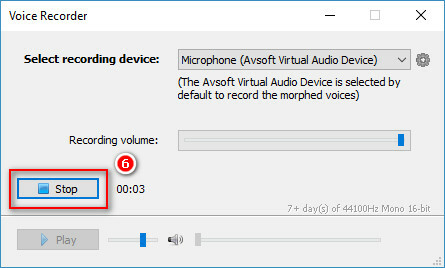 Recording your voice with Voice Changer Software Diamond is a unique way to create beautiful audio files that you will not be able to do with other programs. The reason is thanks to the technology of Voice Morpher, built-in Voice Recorder as well various effects. 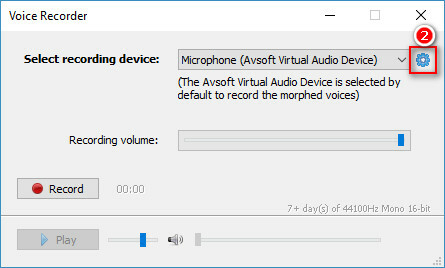 What is this Voice Changer Software Diamond? 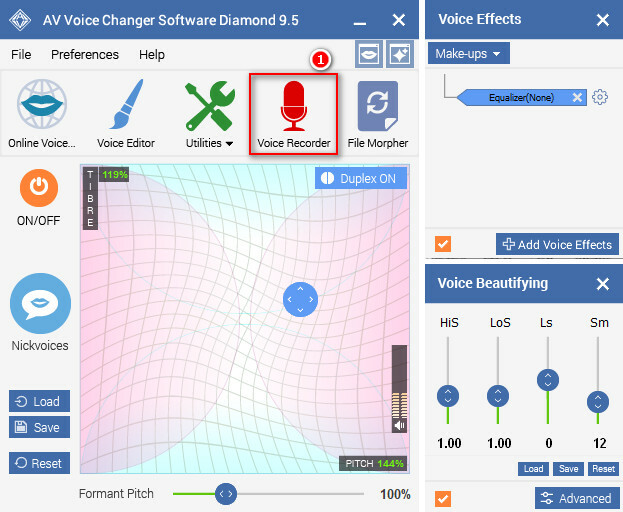 Voice Changer Software Diamond is a program that can do magic to your voice. 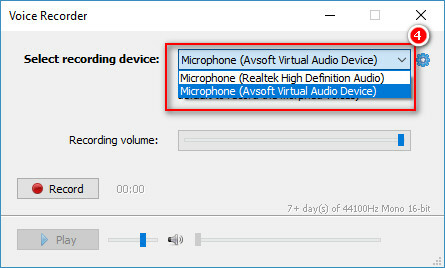 It can change your voice in real time, add more background effects, vocal effects, even mix audio. Most of all, you can record in different voices, thanks to the Voice Morpher feature. Simply adjust settings, and record your masterpiece with the built-in Voice Recorder. Read more. - Choose any encoder in the list. 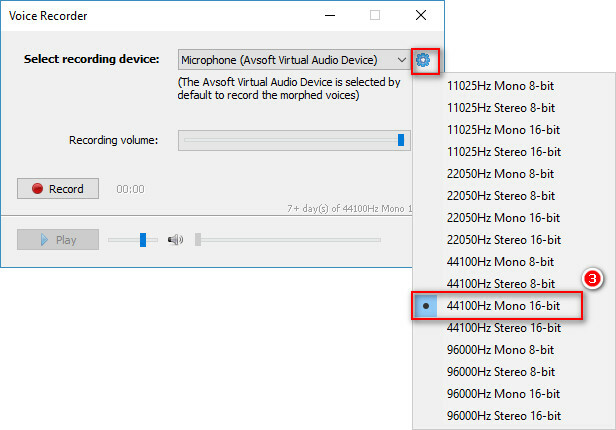 If you are not sure, leave it at Default (44100 Hz, Mono 16 bit). 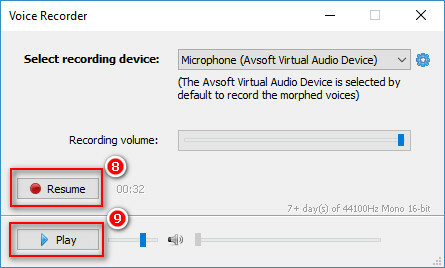 In order to choose whether you record in normal voice or in morphed voice, you will need to choose which device you use. 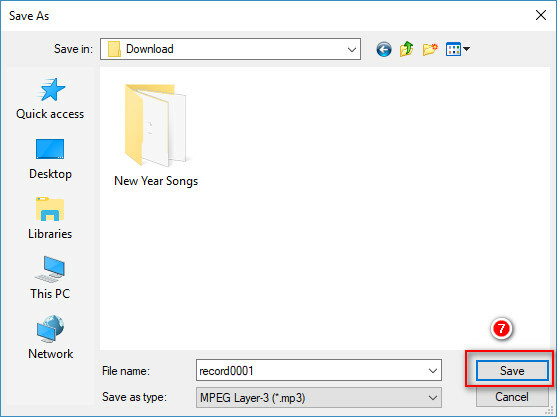 - Click Record (5) to start your recording section. - Click Stop (6) to end the section and save your file. - Click Play (9) to preview the result. That's it. You can see why it's really simple to record your voice creatively, right? 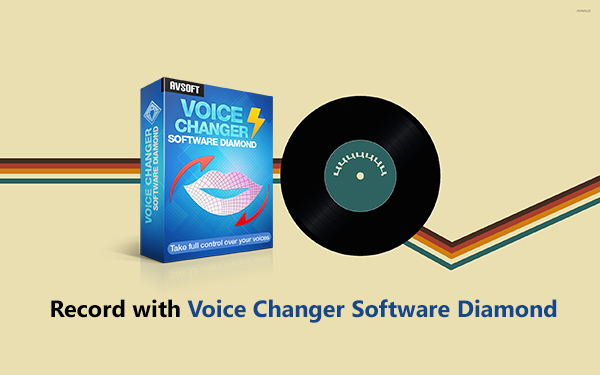 You only need Voice Changer Software Diamond, the softwware designed to fully support this. Have fun and enjoy.